A homeschool day typically doesn't last as long as a day in public school. This is worrisome for many new homeschooling parents, who are puzzled when their students finish a stack of school work in two or three hours. Some rush out to buy more curriculum, assuming they need to keep their children busy "doing school" all day. Other parents resist the impulse to add additional academics, realizing their child has already completed massive amounts of work. This decision is often accompanied by guilt feelings, because the child seems to have so much more free time than his public schooled peers. Experienced homeschoolers realize that homeschooling is simply a more efficient way to learn. There is no need to wait until a bell rings before beginning on another class subject. Students can proceed at their own pace instead of having to wait until others in a class are ready to move on. There is no time spent on role call, announcements, or other group management activities. Waiting in line is nonexistent, and the teacher is usually readily available. Parents tend to do one of two things when they accept that their homeschool curriculum is not going to fill the hours between eight and three PM. Those who thrive on structure attempt to schedule enough educational videos, computer games, worksheets, and required reading to keep their children busy. This almost guarantees educational burnout for both parent and child. It takes a huge amount of time and energy for a parent to seek out new learning resources each day, and children can only assimilate so much information at one time. More relaxed moms and dads allow their kids to fill their free time any way they choose. This frequently results in a mad dash to get the school work out of the way as quickly as possible, followed by watching television or playing video games for the balance of the day. We have chosen what we hope is a middle-of-the-road approach. Our family is almost always finished with our formal studies by noon. My children are then allowed "free time" . . . to a point. The television is off-limits during the hours of eight to four. Video games and non-school computer use are also prohibited. The kids can read for pleasure, play board games, do arts and crafts, practice an instrument, work on Scout badges, or engage in creative play such as Legos, Playdough, sand box, playing "house" or "cars". This gives them a wide variety of worthwhile activities to choose from, while eliminating my need to schedule every minute of their day. Kids learn a lot from unstructured play. (How many times have you seen a playhouse or set of blocks in a classroom?) Sibling relationships blossom when brothers and sisters are playing together, instead of zoned out in front of a screen. Reading is encouraged when other options are limited. Our family has settled into a comfortable pattern of school days, knowing when formal study is required and confident that less-structured time is being put to good use. Our kids used to dash for the television the second 4:00 rolled around but, these days, they're just as likely to continue reading the book they started earlier. That son will graduate from our homeschool high school this year with an impressive vocabulary, but it took some work. I almost feel I should apologize for some of the boring vocabulary workbooks I made him wade through. I wish I'd had access to the vocabulary game site my younger children are using. I noticed early on that my kids are more likely to remember what they've learned if they have a little fun doing it. Try The Slang Game! For as frequently as it's used, slang isn't given enough attention in most language arts programs. Hangmouse is a hit at our house, too. Learning Games for Kids is a site brimming with . . . learning games, for kids! The entire site is worth some serious exploration, but the educational song page has been a big hit with my family, despite their initial reluctance. The songs must be forty or fifty years old, and they sound like it! My children stared at me in astonishment the first time I played The Sun is a Mass of Incandescent Gas. The second time I played it, they rolled their eyes. The third time, they were singing along. Our whole family memorized The Sun Song, along with its accompanying facts. We didn't TRY to memorize it. I just played it a few times to tease my children! The song is so catchy that it leaves an indelible imprint on the most reluctant learner's mind. The site mentions that one adult who learned this song says it's the ONLY thing he remembers from science class. If you like The Sun Song, try The Hurricane Song, too . . . and then sample some of the educational games. You won't be able to resist bookmarking this one! New homeschoolers, concerned about perceived gaps in their child's education, often find reassurance in the words “complete curriculum”. It doesn’t take long to discover that the term “complete curriculum” means something different to everyone. “Is this EVERYTHING I will need?” asks an anxious mom, unpacking a huge box of homeschool text books. Well, the answer is yes . . . and no. There’s room for personalization and enrichment in any program. It’s acceptable and desirable to consider your student’s interests and your own skills and talents when choosing how to implement your chosen curriculum. Classroom teachers in the same school, using identical curriculum, will each provide a different experience for their students. I had one teacher who used her vacation slides as a visual aid during social studies. Another added drawing instruction to her penmanship lessons. Students in other classrooms didn’t have the benefit of these teachers’ additions to the standard curriculum. Was their education any less “complete”? Most curriculum vendors consider their program complete if it aligns with state standards for math, language, social studies and science. This does not mean their materials are all you will ever need to teach your child. Homeschool parents often supplement with videos, library books, department store workbooks, Internet content, field trips, music lessons, and participation in team sports. Your student may need more drill than your math program provides. Most students can benefit from reading practice beyond what can be provided in a language arts curriculum, and there’s no such thing as “too much” writing. Still, it’s comforting when you know you’ve chosen a curriculum that is sufficient on the days you’re too busy or not inspired to add anything extra. Our family’s core program, Time4Learning, provides the structure necessary to keep us on track, along with the flexibility to add or subtract as desired. 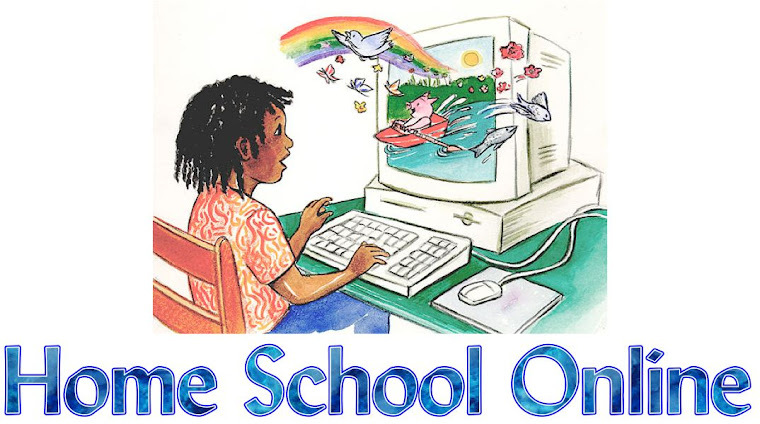 Unique among online programs, Time4Learning allows users to work lessons in any order, skip activities, or take time off to pursue an enrichment opportunity. In an effort to be “complete”, most online programs require keeping to a rigid schedule that discourages individuality. I don’t want to be a slave to any curriculum, but I don’t want to be left without any guidance, either. Time4Learning is aligned to state standards and fits anyone’s definition of “complete”, but I consider it complete because it accommodates both the need for structure and the desire for flexibility. Is your home educated child not working at grade level? You're in good company! Homeschoolers often feel they are in competition with the public schools. There is an assumption that all fifth graders in public school are working at a fifth grade level in all subjects. This is not the reality, and it has nothing to do with the public schools' failure. It has to do with individual differences. Aren't our differences something we've learned to celebrate? No two children ever learn to walk, talk, run, or ride a bike at exactly the same age. We usually accept these variations without difficulty. When it comes to academics, though, expectations change. If the next page in the second grade math book introduces multiplication, we consider our second grader "behind" if he can't do it . . . even if all he needs is a little more practice with addition and subtraction first. The problem with this kind of thinking is that grade level is somewhat subjective. State regulations attempt to standardize education, but every state has a different set of standards and every school within that state has their own way of applying them. Even within the same school, teachers will not use the same curriculum in the same way. Among homeschool programs, the scope and sequence will vary greatly. A Beka expects third graders to do complicated long division. ACE doesn't even introduce division until fourth grade. Miquon math introduces division in first grade, along with the other three operations. Your student may be behind, ahead, or right at grade level, depending on what math curriculum you choose! Our family's core curriculum, Time4Learning, allows for a student's individuality. Students can be placed at a different level for each subject, and they may change grade levels as needed. They can even skip around among grade levels in the same subject. For example, when my own daughter was working at the third grade level in math, she began to have difficulty when division was introduced. I realized this was because she hadn't yet mastered multiplication, and the ability to divide relies heavily on knowing the multiplication facts. I changed her to the second grade level for a couple of months, to allow more multiplication practice. When we once again attempted third grade division, she was more than ready! The reason many of us begin homeschooling in the first place is to provide a quality education, and yet we often feel restrained by the way we assume things are done in the public schools. It's never been my goal for my child to simply "get through the workbook" or to be able to check off that a certain concept was introduced. The check marks are meaningless unless real learning has taken place. Too much grade level awareness can also serve to hold a child back. The daughter I mentioned who was working at the third grade level in math was, at the same time, doing well in a seventh grade language program. She was technically a fifth grader, but she definitely didn't fit neatly into any typical fifth grade curriculum. In a group of young children, there can be huge variations in learning ability, much of it developmentally related. The gaps usually narrow as students age. By the time they were teens, there was very little difference between my children who learned to read at age three and the one who couldn't read until she was eight. Having graduated two of my six children from our home school, I think flexible programs like Time4Learning, which allow a student to progress at their own pace, are one of the keys to our family's homeschooling success. My children progress at vastly different paces, but each has concluded his homeschooling career with similar academic abilities. With a third child due to graduate next year, we've become relaxed enough to use grade levels as a general guide instead of a mandated course of study.